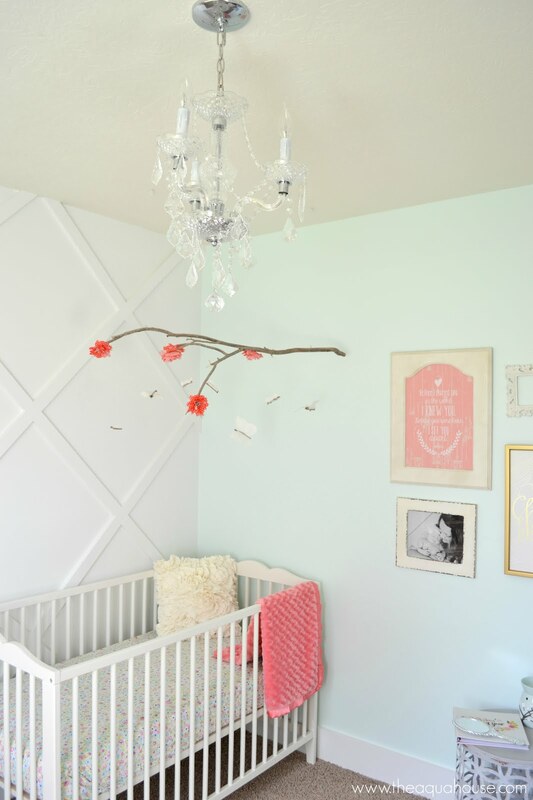 Banners are a quick, easy, and fairly inexpensive way to dress up any space. I'm the type of person who doesn't like to have too much clutter. Each year I like to decorate for autumn and for Halloween, but I don't like having to change out boxes of decorations. This year, to simplify, I got rid of a lot of my old decorations, and opted to go with something more simple. 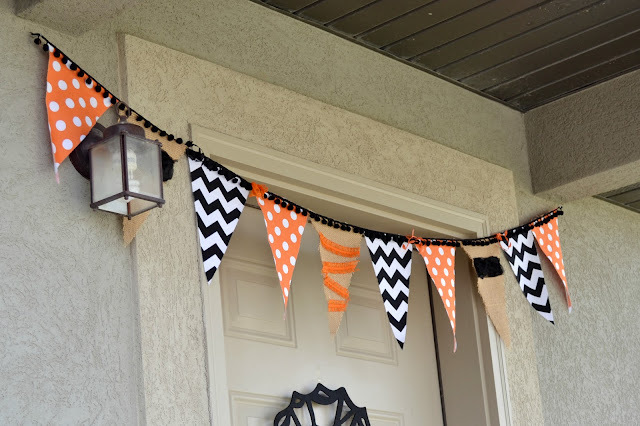 For Halloween, I chose to do a banner and spider decoration on the door. That way, when Halloween is over, I can easily pack away the banner and spider and bring out the Harvest style wreath for Thanksgiving. 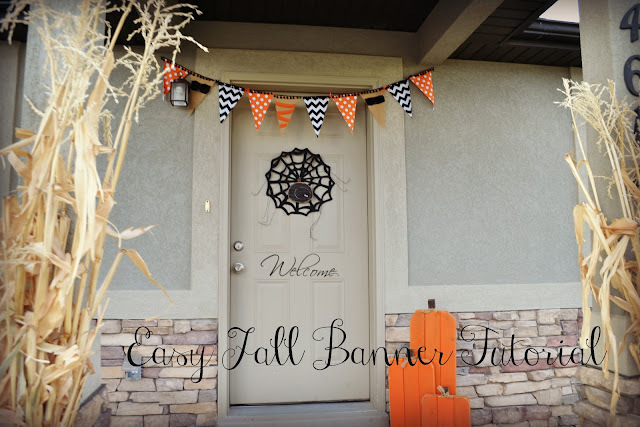 These banners are so easy to make that I may even try doing another one for Thanksgiving. First off, I took my burlap and cut it into a strip that was 11 inches by the WOF (width of fabric). 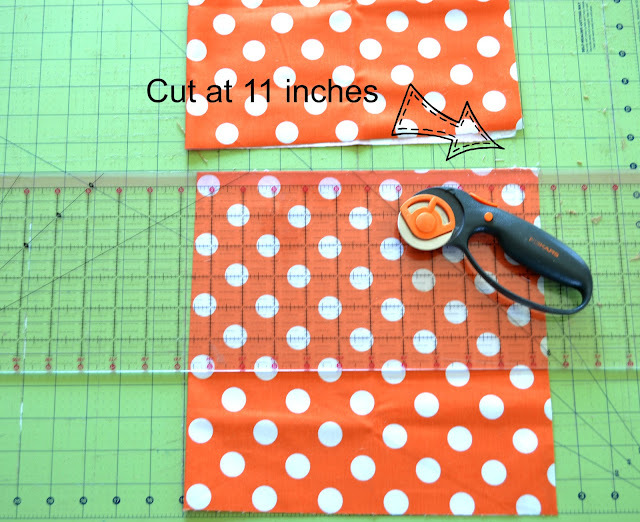 Next, I took my two fat quarters, folded them in half and cut them into 11 inch strips. From the 11 inch strips you will cut your triangles. The tops of my triangles measured 7 inches. To start with, I measured over 3 1/2 inches on the bottom of my fabric and marked it. 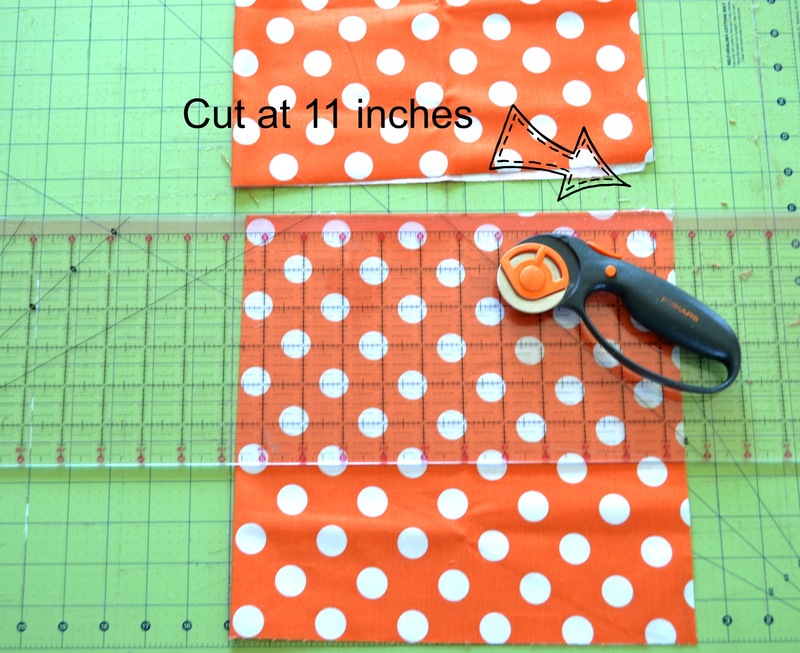 From here all you have to do is take your ruler and and angle it back to the edge of your fabric and cut. Now take your ruler, measure over 7 inches on the top, angle it back to your 3 1/2 inch mark and cut. Your fabric should now look like this. From now on, all you will have to do is measure over 7 inches and angle your ruler from your last cutting point. You can see how the ruler is angled in the above picture. 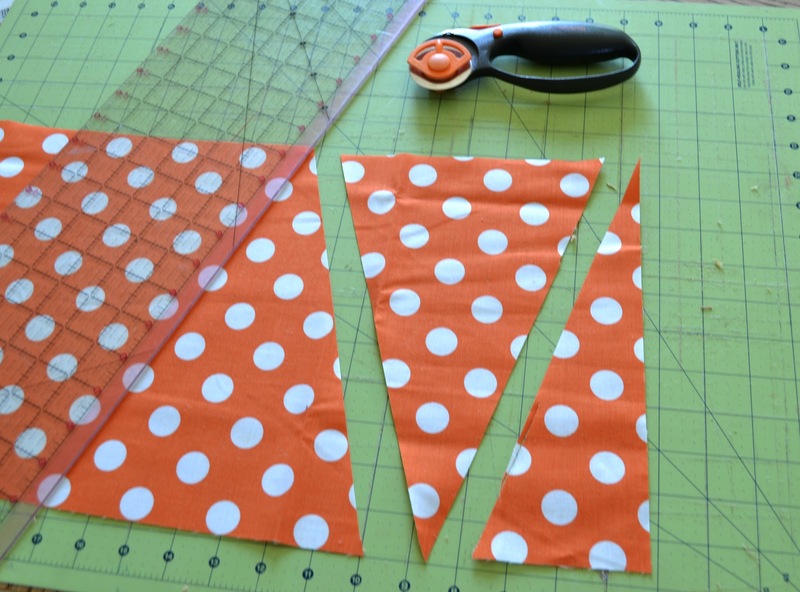 You will need to cut four triangles from one fabric, and three triangles from the other two fabrics. Now lay out your triangles in alternating order. 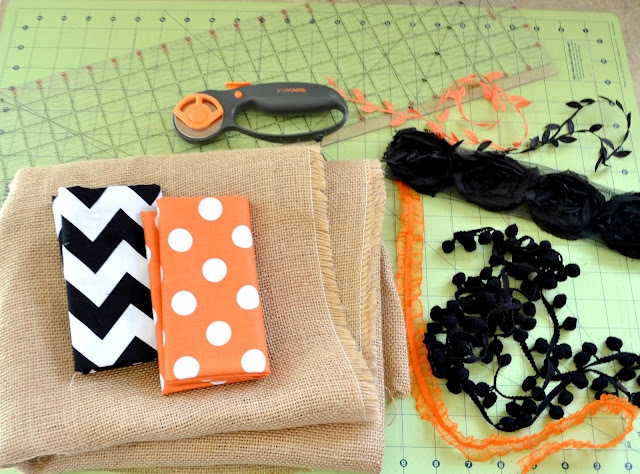 You will take your two yards of ribbon or bias tape and pin it to the top of your triangles. I left about one to two inches of ribbon overage on each side. This is so I had something to hang it by. 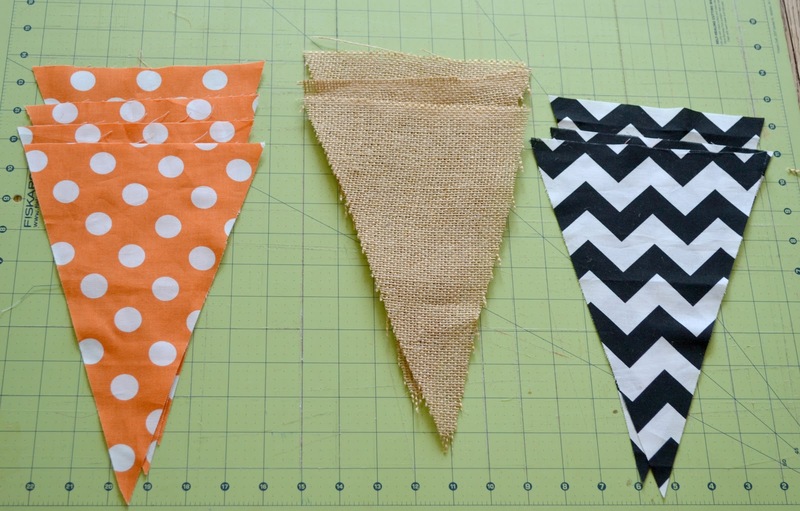 Sew the ribbon to the triangles. I used a 3.0 stitch length. 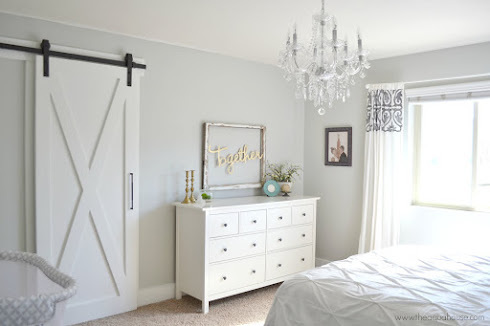 Now you are ready to add any embellishments you want. 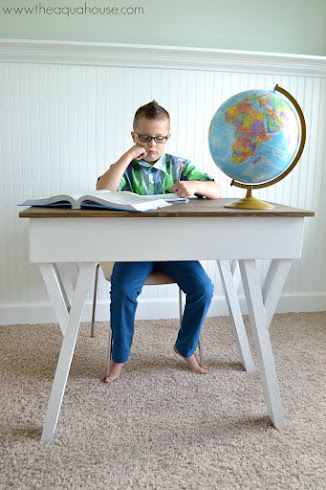 I chose to sew some ribbons onto the burlap to dress it up a bit. I also tied extra ribbons on the banner in between triangles. Your fabric will fray, especially the burlap. If you don't want a frayed look, you can help prevent this by using pinking shears to cut the triangles (on cotton fabric). 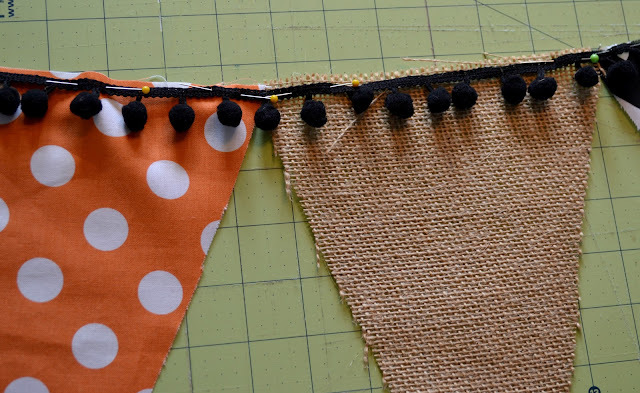 For the burlap you can use a spray adhesive or lightly modge podge the edges. Let it dry before sewing! 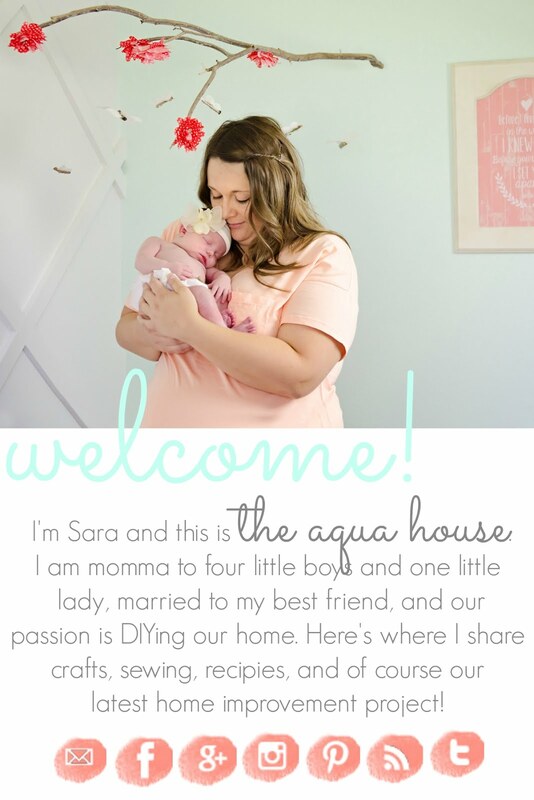 Looks good, Sara! I am totally with you on the boxes of decorations thought!